I’m a firm believer that Billy Joel is one of the finest craftsmen in the history of pop songwriting. As a musician, pianist, melodist, and lyricist, he has constantly brought an impeccable originality and mastery at creating three- to four-minute masterpieces. He’s also incredibly diverse. If you’ve seen him in concert, you’ve seen his ability to morph like a chameleon between musical styles, absorbing legends like Ray Charles (“Baby Grand“), Joe Cocker, 50’s doo-wop (the entire An Innocent Man album), Franki Valli and the Four Seasons (“Uptown Girl“), The Rolling Stones (“You May Be Right“), The Beatles (in countless instances), Beethoven (“This Night“), the Russian Romantic tradition (“Lullabye (Goodnight, My Angel)” and others, especially the Storm Front album), and more. If I had the time, I could write dozens of Songblogs that traverse his almost four decades making records, and each one would be completely unique. Billy’s genius lies in his innate ability to assimilate a wide variety of influences, and turn them around into new original songs that pay homage to the past but are their own unique and valuable creations that bear the stamp of his unique personality. 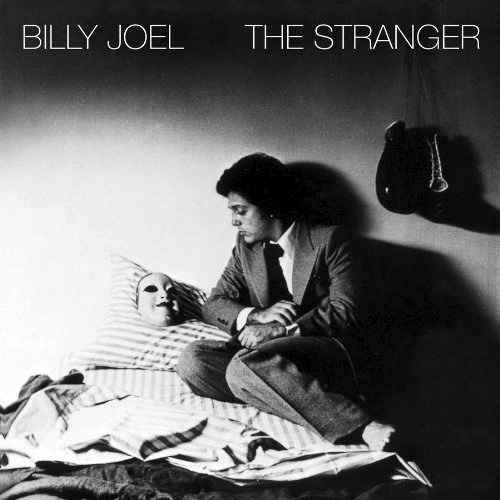 In today’s Songblog, I’ll look at one of his relatively early ballads, “She’s Always A Woman,” taken from the 1977 album The Stranger, which won multiple Grammy awards and which many consider to be among the best pop albums of all time. After the first verse is played and sung so simply, the piano begins an arpeggiated pattern (0:29 in the YouTube video above) that serves to propel the song forward, and once we’ve heard two verses (which stay very simple harmonically), we hit the first chorus (0:56), which forms a beautiful contrast as it cycles through several chord worlds before taking us back neatly to the simple verse. The chorus is in two halves, the second half (1:13) pivoting to a surprise minor i chord which gives the structure so much strength and sense of journey. Especially in the verse, you get the sense that the accompaniment is following the vocal. The beginning of the song feels like a 6/8 waltz, but then the time signature patterns start breaking up and being grouped into twos, threes, and fours, depending on how much extra breathing room a given vocal line needs. The lyrics, taken by themselves, are beautiful poetry, and need no interpretation as their meaning is crystal clear. He’s extolling the beauty of his woman, and mesmerized by her despite her flaws. I write the music first and then if I like the music I write lyrics. I think every piece of music has something apparent in it lyrically. For me it’s like fate knocking on the door. Beethoven’s symphonies were written when, if you look at the time period, there was some awesome stuff going on. And you think that’s what he must have been writing about. But maybe it was something as banal as what’s with the rent? It’s like Michelangelo sculpting marble. Inside that marble is the sculpture, he’s just got to find it. That’s how I write lyrics. I write music and then ask, “What does this music say to me?” I wrote a song called James, and the guy’s name was not James. But had I said Fred it wouldn’t have worked. I love hearing this demo, realizing that he really worked on the music and melody exclusively until he felt they were as solid as they could be, before he began to approach the lyrics. 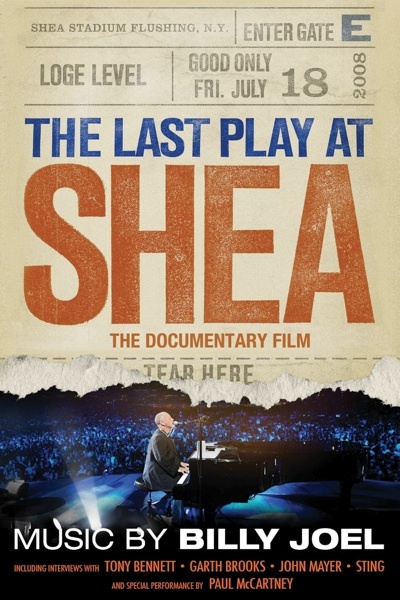 If you’re new to Billy Joel, I highly recommend the recently-released documentary/concert Last Play At Shea, which documents Billy’s historic 2008 concerts that were the last concerts played at Shea Stadium in New York before the complex was torn down. 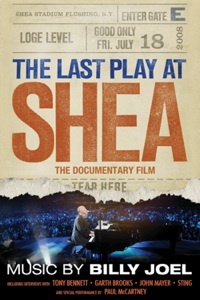 The film is a blended documentary which interweaves Billy’s history with the history of New York and the Mets. Billy is also an eloquent speaker about his craft. Simply searching YouTube for “billy joel questions and answers” reveals many search results of live audiences interviewing Billy about his life and work, and there’s a gold mine of insight there. What is it about this song that makes it a great song to you? Leave a thought in the comments below. If you’ve enjoyed this article, and don’t already have it, support the artist by buying the album (iTunes/Amazon) or single (iTunes/Amazon). This post is part of the Songblog series, a series of essays dissecting a selection of popular songs from a songwriting and production perspective. Please contribute to the discussion by leaving comments below. Keep up with future Songblogs by following me on Twitter.